Jimmy Butler and the Minnesota Timberwovles are in the headlines. Again. For the umpteenth time. Andy and Dan have many thoughtz and feelz about Minny's cratering culture following Butler's, ahem, tour de force. You should listen to them. After that, it's on to the Central Division season preview. Our discussion covers all things Pacers, Bucks, Pistons, Cavaliers and Bulls while taking some detours toward the Sixers and potential breakout candidates. Let's do this. 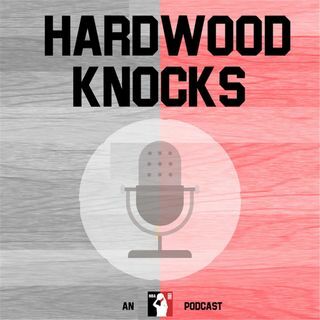 As ... Maggiori informazioni always, please subscribe to and rate Hardwood Knocks on iTunes. You can also find us on basically anywhere podcasts are offered. And as 50 Cent's biopic suggests: Follow Andy Bailey (@AndrewDBailey), Dan Favale (@danfavale), the show (@HardwoodKnocks) and NBA Math (@NBA_Math) on Twitter or die trying.